God Bless Bahati. see what he did to a blind man who approached him for finances. Gospel singer Bahati is one of the young talented artists in Kenya who have slowly grown from humble back grounds and toiled to their success. Despite being in his early 20’s Bahati is has not being on the spotlight for the wrong reasons compared to his other musician counter parts who are always on the limelight for wasting their cash on parties and women. Barua hit maker narrated how Denno (the blind singer who sang alongside Daddy Owen in the hit “Mbona”) approached him asking for little financing to enable him start a small business in order to keep him surviving in the hard economic times. 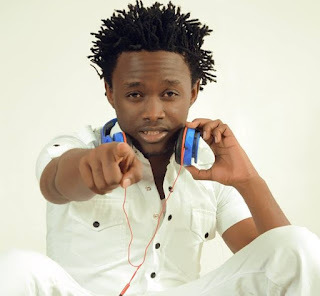 The young lad (bahati) made a wise man’s decision as he decided not to let denno’s talent go down to the drain. As the wise man said ‘give a man a fish and you feed him for a day; teach a man to fish and you feed him for a lifetime’ So bahati decided to help Denno nature more into his talent and they settled for a collabo.